Are you unsure why your attorney is agreeing with the forensic evaluation recommendations? 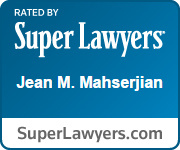 Jean Mahserjian explains why in this informative video. Why should I trust the advice of the forensic child custody evaluator? After a forensic custody evaluation is completed, the evaluator writes a report. These reports can range from 20 to 80 pages long. They include all of the information that the evaluator has gleaned from the parties including their interactions with each other and with the children, and some forensic testing, such as the MMPI. They also must include collateral sources. If there are counselors, teachers, care providers, or other individuals who have information about the parties and/or their children, they will be contacted by the forensic evaluator. A thorough custody evaluation report can help attorneys to settle a case. In general, if we review a report and believe that the evaluator has a very good grasp of the facts and the dynamics of the parties’ marriage and their custodial positions, we may recommend that our client adhere to the recommendations in the report. A court cannot simply follow the evaluators recommendations. The court must make its own determination as to custody. However, a good forensic evaluation report will provide a significant amount of information to a court to assist them in making its determination. If we assess that report and we believe that it has a high likelihood of being adhered to by the court, at least in part, we may recommend that you adhere to that report, and in many instances we can avoid the cost of a lengthy custody trial if the report is good. Are you or a loved one dealing with a parenting time issue and have questions about forensic evaluation recommendations? Contact our experienced Saratoga child custody lawyers at Jean Mahserjian, Esq., PC today to schedule a confidential consultation and case evaluation. 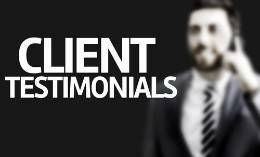 Let our experience work for you.